The Classic is among the finest pianos ever made. The tone is clear and refined and this instrument is exceptionally versatile. You can play it with passion and virtuosity, secure in the knowledge that the sound of the Classic will impress not just you but everyone listening as well. 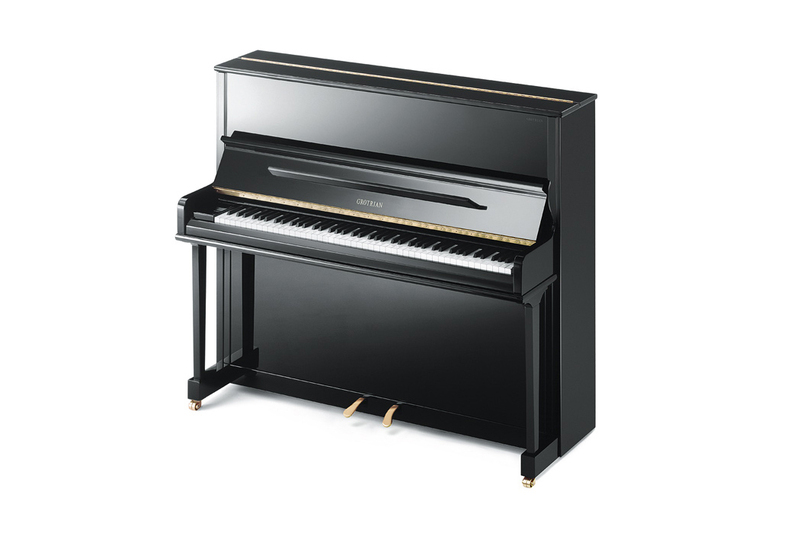 The most popular upright of the Grotrian-Steinweg upright models. The 124 cm height provides a superb blend of power and sophistication. The complex tone is clear and rich, the more you play this piano the more tonal possibilities and variation you will discover. Simply unbelievable for any style of music making.